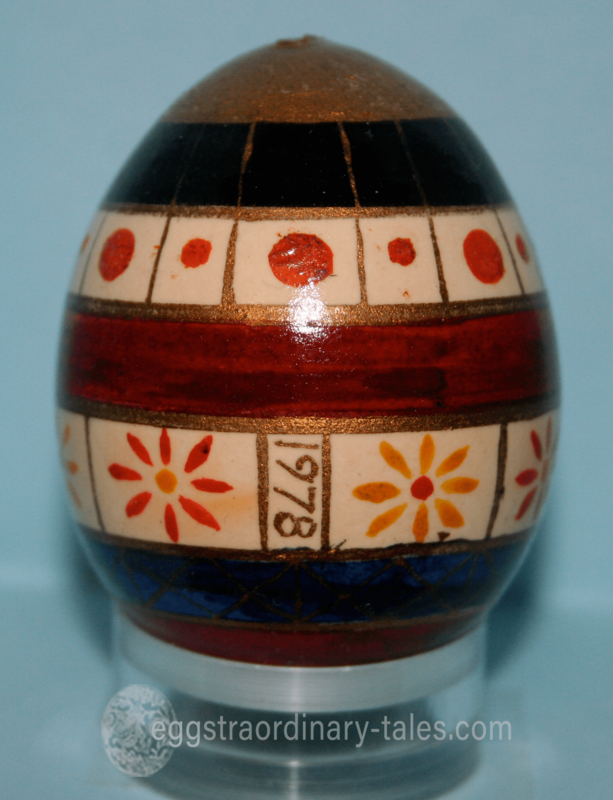 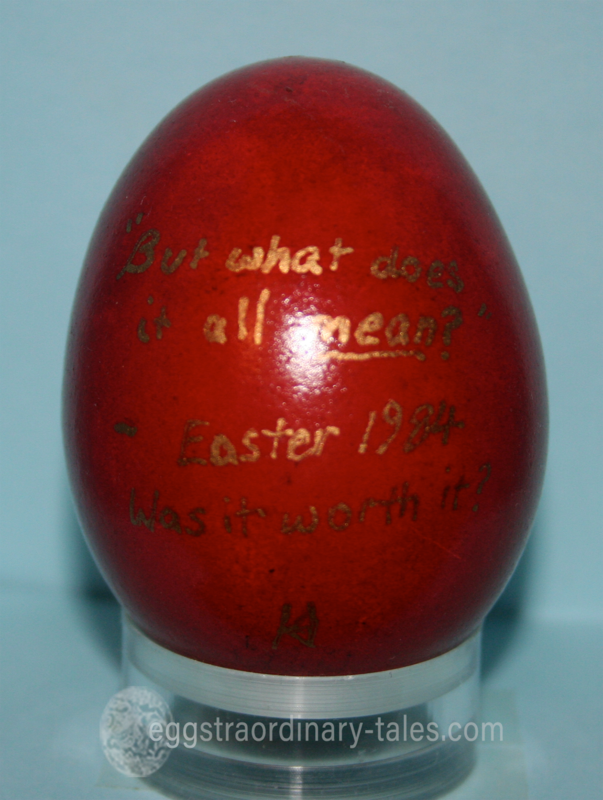 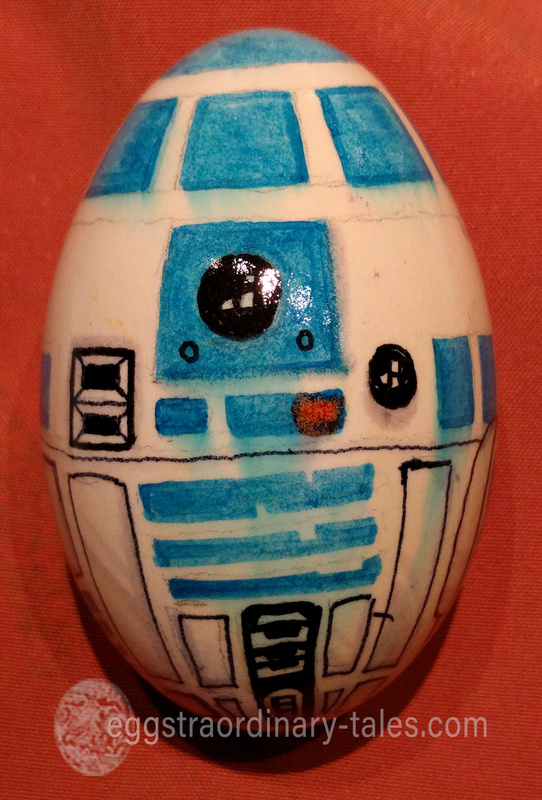 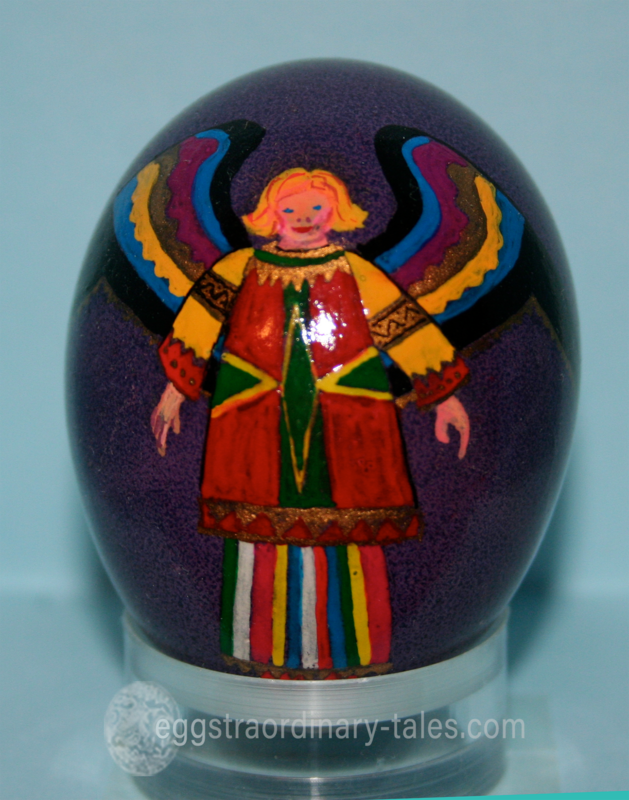 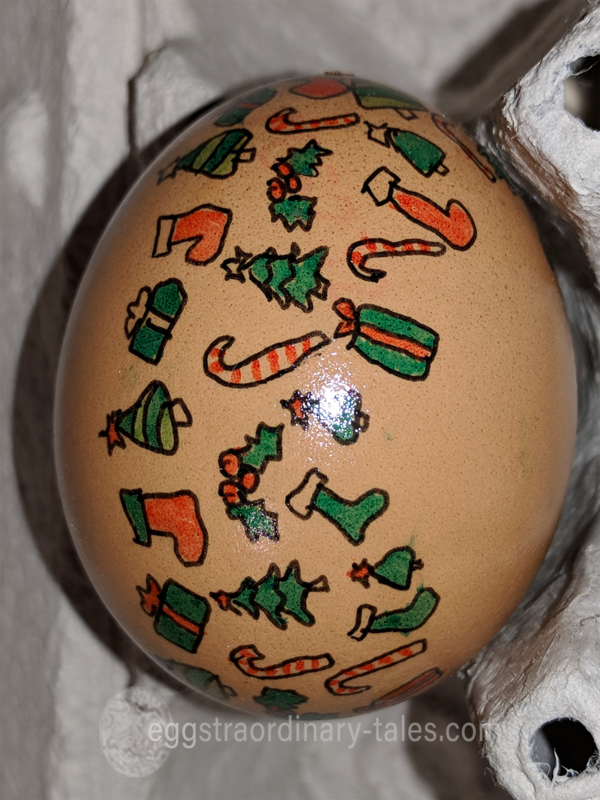 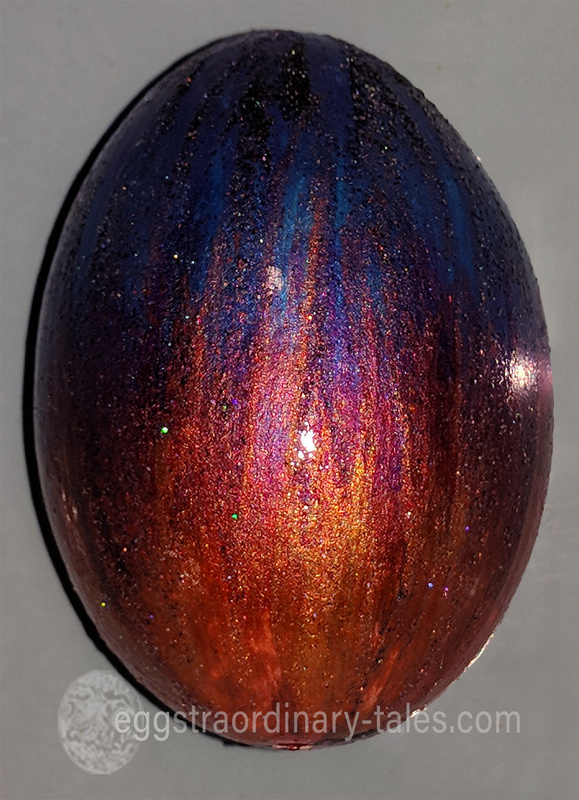 Painting is probably the most common method of decorating the eggs, often in combination with other techniques, such as dyeing. 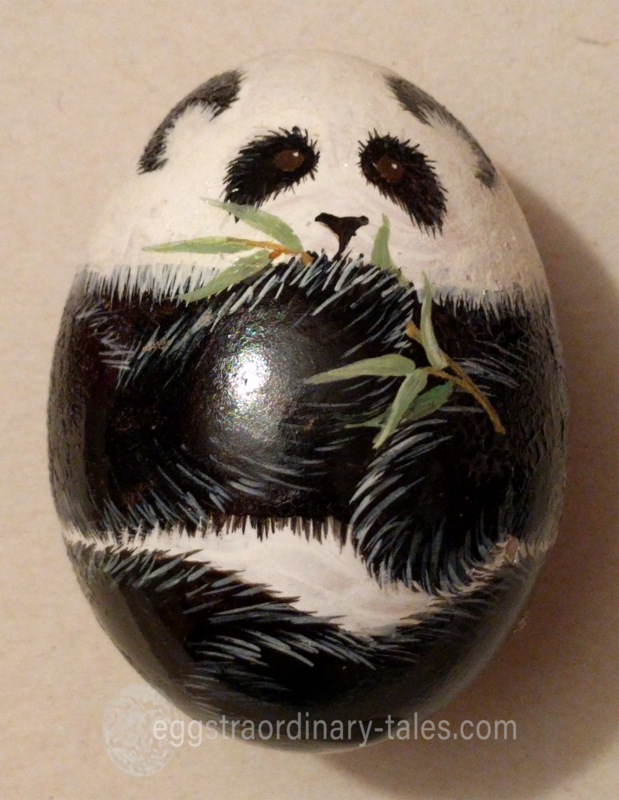 Some people spend hours (or occasionally days) painting very intricate designs, while others just enjoy dabbing away with a brush. 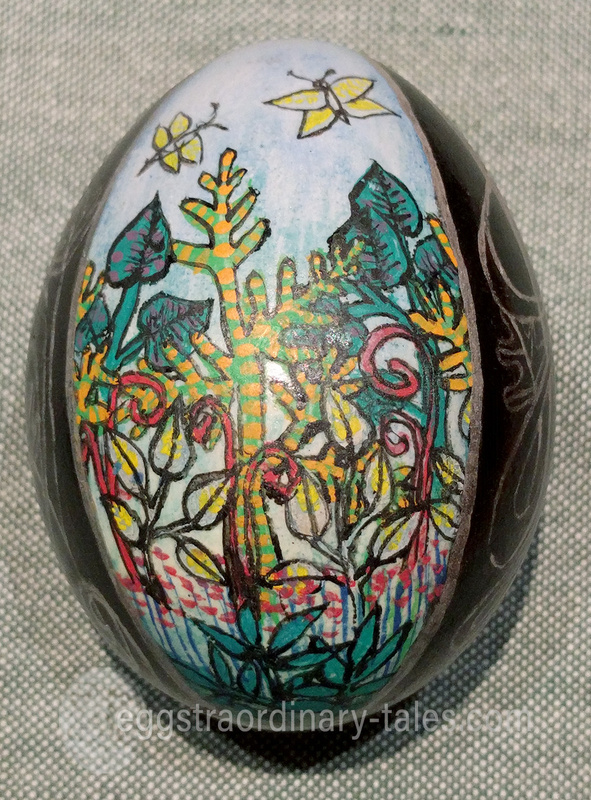 It’s easy for youngsters to get into and they love the feel of paint going on – often the trick is to get them to stop! 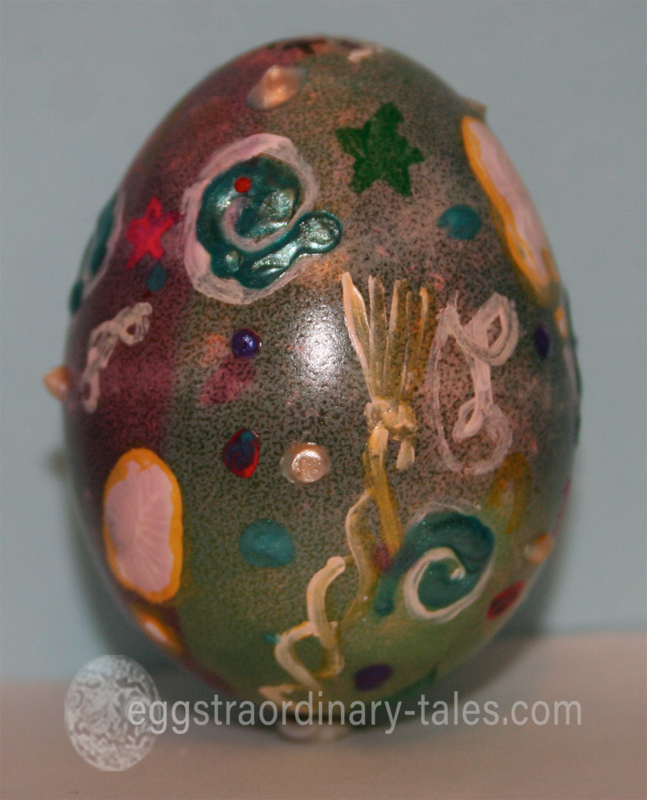 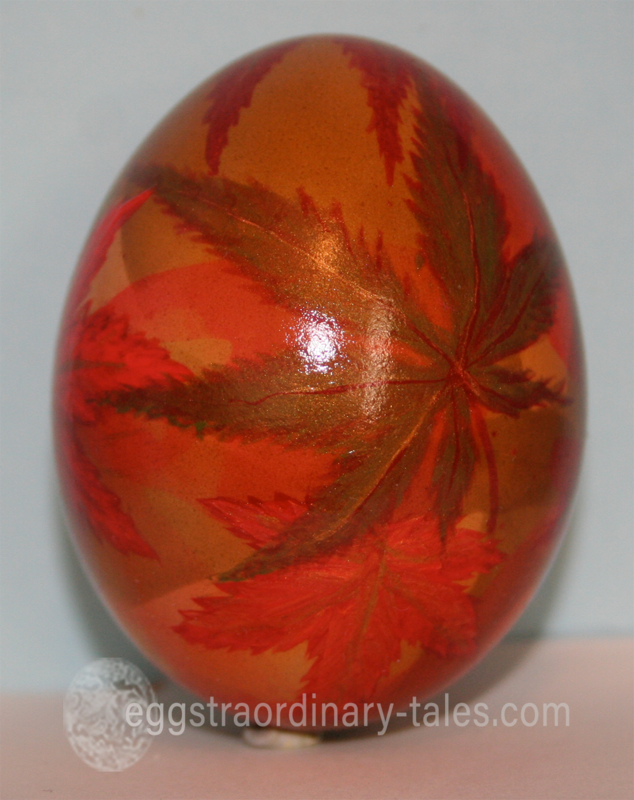 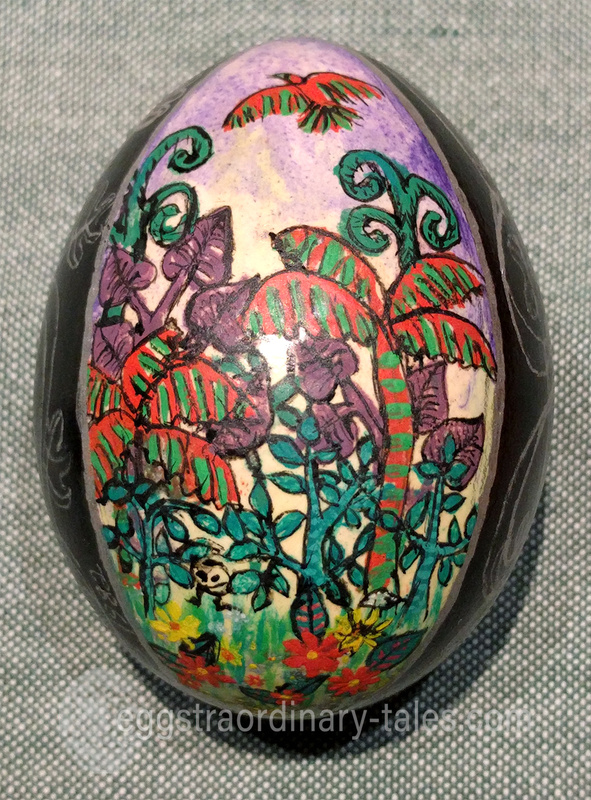 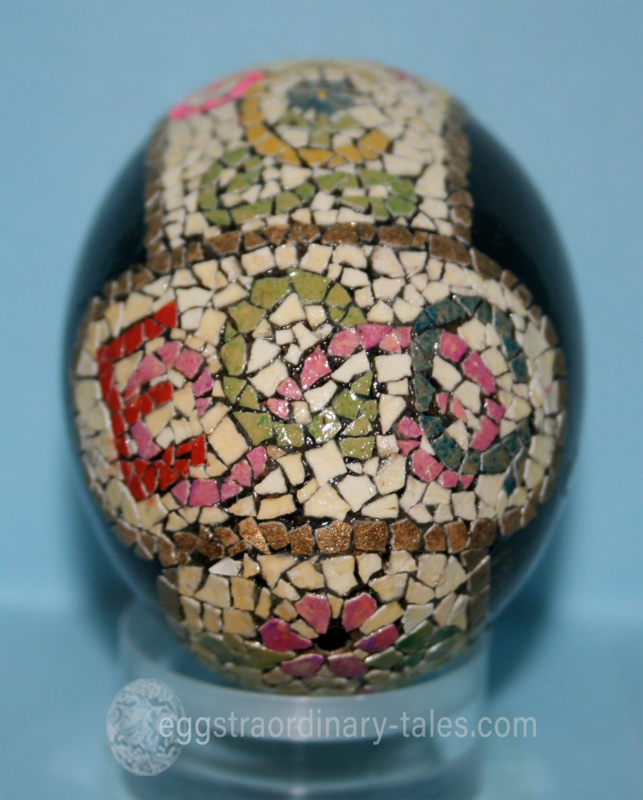 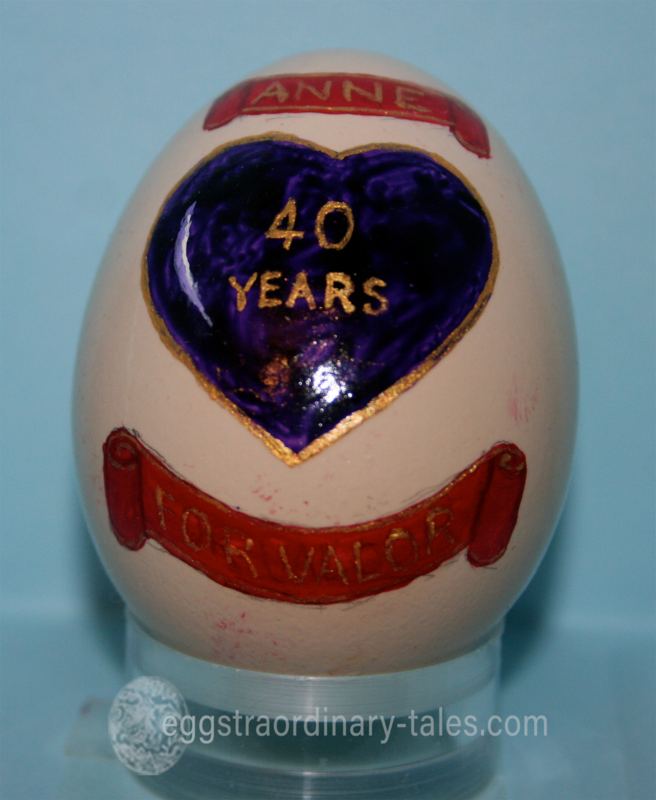 Painted kids’ eggs usually varnish up beautifully and the ‘accidental’ patterns come out beautifully.